The Catch is a piece of digital artwork by Carrie OBrien Sibley which was uploaded on June 4th, 2012. 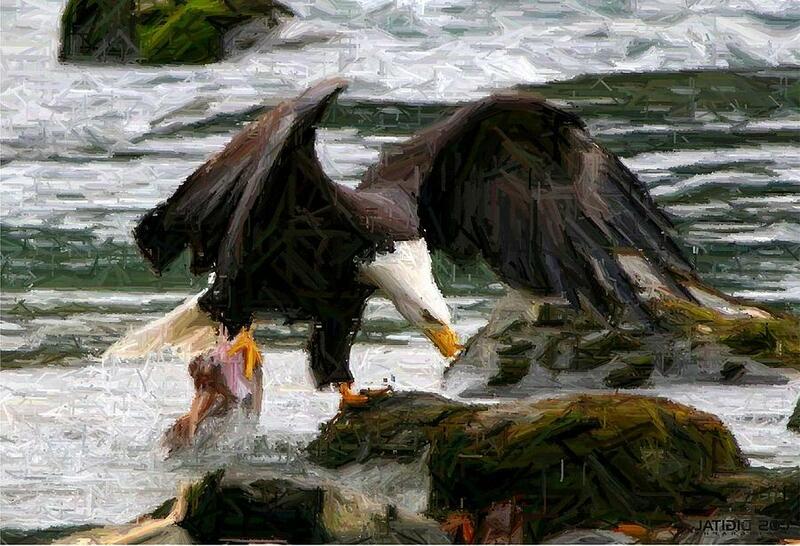 This photo is one of my favorite from our Haines Alaska trip. 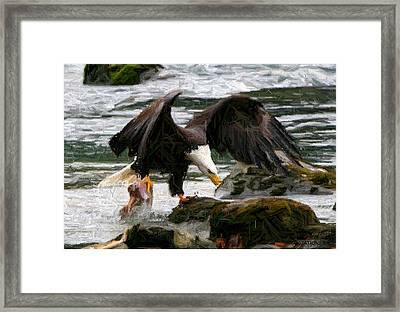 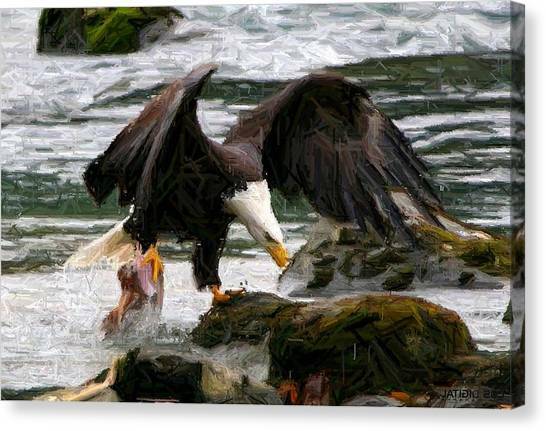 The eagle had just snagged the salmon from the water and was bringing it up on the rock to eat.